Unique and Responsive HTML5 website templates created by the professional team with significant experience in web development. These responsive HTML5 CSS3 templates are ready to use and perfect for landing pages with multi-pages and onepage options. All web templates are using the modern HTML5 / CSS3 trends are easy to customize and hundreds of icons can be added dynamically and by using shortcodes. 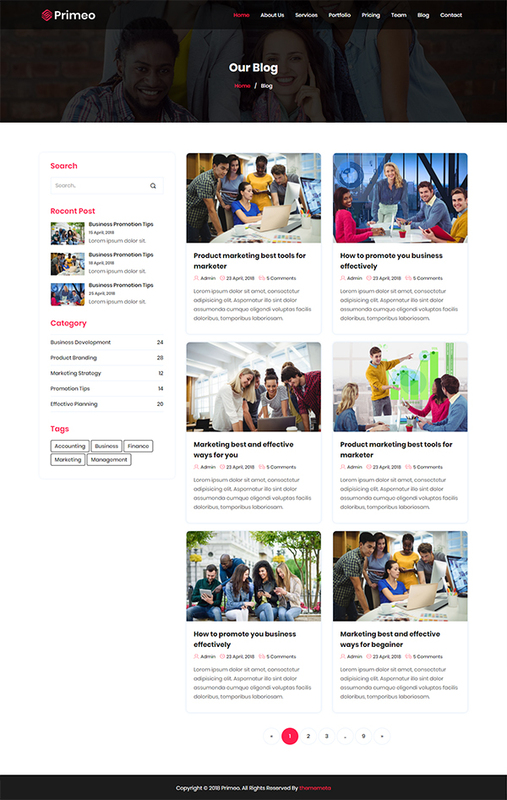 These website templates are suits for business websites, Photo Studio, Freelancers, Portfolio Theme, Personal, Restaurant, Medicine, Travel, Creative Agency, Corporate, Magazine, Blog, Interior, e-Commerce and Mobile application sites. 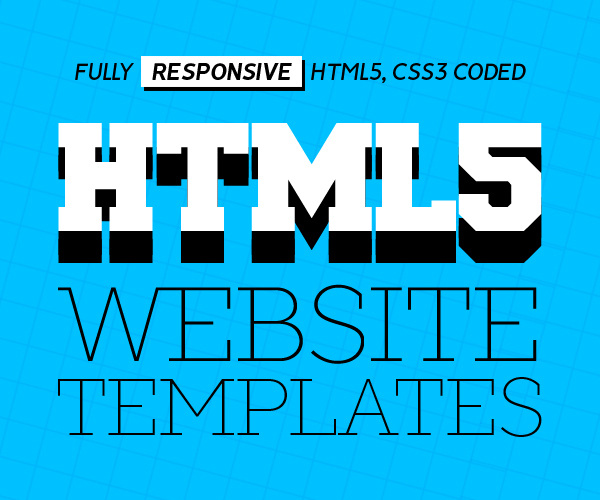 HTML5 responsive templates with a lot of useful features. Here you will find everything you need for all your purposes. We have collected the most modern web technologies added a little bit of our love painted with bright colors and created this awesome themes. The designs can be easily implemented in many open source platforms such as WordPress, Joomla, Drupal, etc. Keep the focus on what you do by using this simple, flexible and elegant template. Crafted with portfolio for personal and corporate world in mind, impress your audience with Catos classic, clean, and stately aesthetic design. The design includes 1 one-page responsive homepage landing page layouts and total 1 html file. All are based on 1170 bootstrap grid system and full width is 1920. Its compatible with all modern browsers. RangeFocus – One Page Corporate and Business Template It is a Highly customizable code, Simple, Clean and Professional Template.You can use it for agency, app, app landing, business, clean, corporate, creative, modern, multipurpose, one page, portfolio, product landing, responsive, single-page.With all it’s features you can build something great. i-shoppinghub is a Multipurpose E-commerce Responsive HTML5 Template. It’s Fully Responsive based on Bootstrap 4. All files and code have been well organized and nicely commented for easy to customize. We have included a documentation folder to describe the code structures. Riliant is a fresh modern and classy HTML template designed for commercial, business and enterprise company. Riliant HTML template is enhanced for corporative, social group or creative individuals. It is ideal solution for commercial and art sphere. Beapp – Mobile App Development Agency HTML5 Template is designed for mobile application development agencies and individuals or companies with multiple mobile applications. Using and customizing the template is quite simple. Zeel is powerful and carefully crafter one page parallax site template for Business Agencies, Music Band, Real Estate, Portfolio, Event Organisation company. Its built on Bootstrap Responsive Framework. My Health – is the Best HTML5 Multi-Purpose & Powerful Bootstrap Template in 2018. Its quite easy to Create your own awesome website with our Template. My Health template’s Key features are Modern & Unique Design interactive, easily customizable, highly modern, fast loading, search engine optimized, efficiently coded, well documented, vibrant and fully responsive HTML5 and CSS3 multi-purpose website template for all your websites! This is the Best ever Health / diet & natural fitness Template which is available now. Primeo is a one page Business HTML Template. You can use it for any kinds of business purpose like Agency, Creative, Corporate, Startup, Company, etc. It is 100% responsive for all cross browsers and devices. We have also added an Ajax contact form with PHP file. So you can easily receive emails from the contact form. Besides, we have included well documentation. So you can easily change anything without any trouble. The beautiful colors will make your website look outstanding. It comes with +30 color schemes to choose from. We provide a large number of buttons ideas to choose the one that suits your business best. From gradient ones to flat or outlined, we guarantee that you will find the one for your website. Leonardo is clean, minimalistic portfolio Html&Css Template with illustration (cartoon) style, that enables you to create a professional portfolio website. Based on Bootstrap grid system with free Google fonts.This theme is very well commented and also have proper help documentation too. FlexPack is an powerful and trendy App and Software HTML Template. The design of the template is fully responsive and highly optimized for mobile, so will adapt itself to any mobile or tablet device. FlexPack Template build with Bootstrap 4 and multiple components so you can build new pages very easy on their basis. Feel free to visit the preview link or contact us with a feature request. Lyrae is a clean HTML5/CSS3 ecommerce template suitable for Handmade Shop, Furniture Shop & Fashion Store. You can customize it very easy to fit your needs. InFOX is a Feature Mobile Phone Landing HTML Templates. its a powerful HTML template ever with pretty advanced features for especially Mobile Phone Factory, Marketing Team, Cellphone Selling, Mobile Phone Showcase Business. It has all the features what you need for a Mobile Phone Specification.You can easily edit the HTML file and make necessary adjustments. Font Into This HTML Template uses Google Web Fonts which is free to download and use. Minimalistic and clean design is main reason that Asterisk is great for everyone that are looking for small template with features that are important. Asterisk is a creative responsive HTML template for multi purposes, it could be used as a company, creative agency, design studio or freelancer personal portfolio.